A three-way valve is normally used to control larger flows; it has an inlet port, an exhaust port, and a common cylinder port. A four-way valve has an inlet port (1), two cylinder ports (2 and 4), and two exhaust ports (3 and 5). 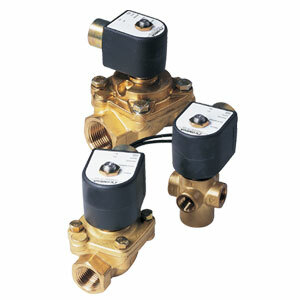 They are generally used to control double-acting actuators.